Officially incorporated on October 1, 2008, the city of Menifee in southwestern Riverside County includes the communities of Menifee, Sun City, Quail Valley, Paloma Valley and portions of Romoland. 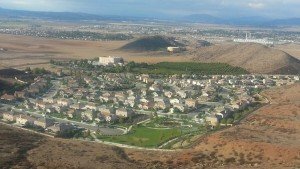 Covering an area of approximately 50 square miles, Menifee is bordered on the north by Perris, on the west by Canyon Lake and Lake Elsinore, on the south by Murrieta, and on the southwest by another newly incorporated city, Wildomar. The city takes its name from Luther Menifee Wilson, a miner who discovered a significant quartz lode that led to the growth of mining in the area during the early 1880s. 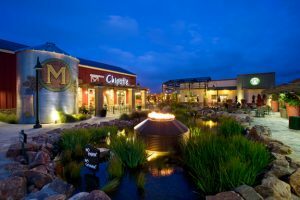 Today, Menifee is a city on the verge of an exciting period of growth, with a mix of master-planned residential, commercial and retail districts that have attracted many prospective residents and businesses. The residential property market in Menifee consist mostly of single-family residences such as golf course homes, ranch-style homes, luxury homes, and equestrian properties. 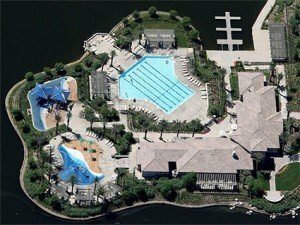 These are located in sprawling neighborhoods, planned developments and retirement communities. Architectural styles vary, ranging from classic and traditional designs in older neighborhoods to Spanish, Italian, and European Cottage influences found in the newer developments. Townhouses and condominiums are limited, but land and lots suitable for new construction are available for those planning to build their own dream home. Menifee homes for sale are affordably priced, starting in the mid-$200,000s for a single-story starter home or retirement home with 3 bedrooms, 2 bathrooms, attached 2-car garage, and landscaped front yard. Higher priced homes run up to the high $700,000 range, which gets you a large home with 4 bedrooms and 2.5 bathrooms plus ample space for horse corrals; while over $1 million can buy you a sprawling property with 4 bedrooms, 4 bathrooms, horse corrals, and breathtaking views of the surrounding areas. Avid golfers will certainly be at home in Menifee, with several golf courses that will provide challenges for players of all skill levels. 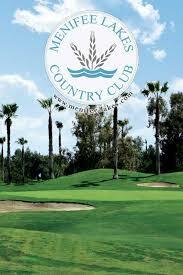 Challenge yourself on the 18 holes of the North Golf Course in Sun City; the 18 holes of the Milton Coggins-designed course at the California Golf & Art Country Club; and the 36 holes of the Ted Robinson-designed course at the Menifee Lakes Country Club. Want to know more about living in Menifee? We’d love to help. If you’re looking to buy a home in Menifee, you can schedule a neighborhood tour with us. We can find the homes that match your home buying criteria and schedule personal home tours. Here are just a few of the popular neighborhoods we service in the Menifee area.